Every year at Cuba's Festival del Habanos, we hear rumors and news about what's happening in the cigar business. And, there's nothing like hands-on inspection of cigar shop inventories to get a sense of the real situation with Cuban cigars. One of the first shops we visited was Quinta Avenida, run by Carlos Robaina, the father of Hirochi Robaina who oversees the family's Cuchillas de Barbacoa in Pinar del Río. Carlos said that the crop there is one of the best they have ever seen, and the best by far in recent years. "I've never seen leaves like this year," Carlos told us. His observations were confirmed by a number of other people. Even though we didn't have time to make it out to the fields this year, a top Habanos' executive told us the crop was excellent. 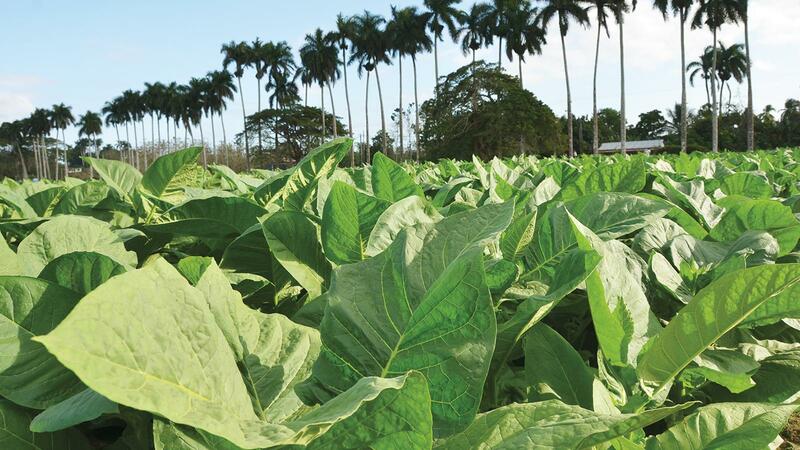 Given what Inocente Núñez Blanco, the Cuban co-president of Habanos S.A., told me in October about plans to plant significantly more acres in the 2016-2017 season, coupled with what was described as "perfect growing conditions throughout the entire season," Cuba may finally have decent inventories of tobacco. Nonetheless, it will be at least a year to two years before tobacco from that crop makes its way into cigars. The Cubans desperately needed a harvest like this year's. The other major topic among festival goers and the local retailers was the lack of inventory in certain cigars. We saw almost no Behikes during our week there, and one stack was hidden in a back storage room, with the suggestion that they had just arrived that day. Those cigars were almost certainly being held off the shelves for the shop's best customers. But we did not see any other Behikes during our week exploring cigar shops. There were a few Siglo VIs, but very few, and no Cohiba Esplendidos. The inventories of big cigars, such as double coronas, were being depleted. When I was in Havana last October, many brands' double corona sizes had reached retailers for the first time in a while, and they said at the time that they didn't expect to get replenished. There were a few boxes of double coronas with date codes of December and January and even February, but it is clear that Cuba still has a major issue with getting enough big wrapper leaves for their large-format cigars. Another worrisome sign was that many boxes that I opened had very light, almost yellowish wrappers, including in some iconic brands and sizes like a Montecristo No. 2. But perhaps even of greater concern was the variance in wrapper colors. I opened several boxes and finally bought a box of Monte No. 2s because the wrappers were dark brown, almost chocolately, as opposed to the yellowish tint I had seen in some shops. I couldn't get an explanation for that variation, but I would caution any buyer to check their boxes before completing the sale. In general, those lighter wrappers are going to produce a much milder smoke than the darker wrappers. So, I'm giving a bit of buyer beware caution right now. After three years of mediocre harvests, the existing tobacco inventories being used for rolling cigars all come from that difficult period. The exception may be some of the special edition cigars, like the Gran Reservas, Edición Limitadas, or the Añejado series. Those cigars still use older tobacco and, while more expensive overall, they may be the best value for quality purchases on the market.